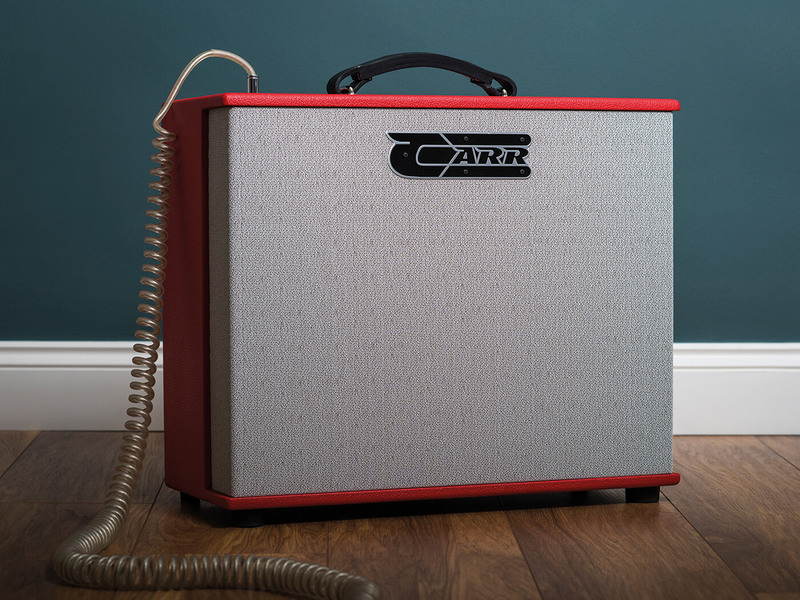 Carr’s amps are fêted for their genuine point-to-point wiring, mid-century modern styling and above all, fantastic tone quality. The Telstar ticks each of these boxes, but its unique selling points are thin-wall cabinet construction and mismatched power valves. On that last point, we don’t mean old valves that have drifted out of spec, but rather a push-pull stage pairing an EL84 with a 6L6 to generate 17 watts. You can also install an EL34, KT66, 6V6 or “any octal power tube” in place of the 6L6, if you want to experiment further, and no re-biasing is necessary. Volume and tone controls combine with an onboard L-Pad attenuator, spring reverb and tone-shaping switches. The Lean/Lush switch contours the bass response, while the 53/58 switch adds gain and shifts the frequency point of the tone control. 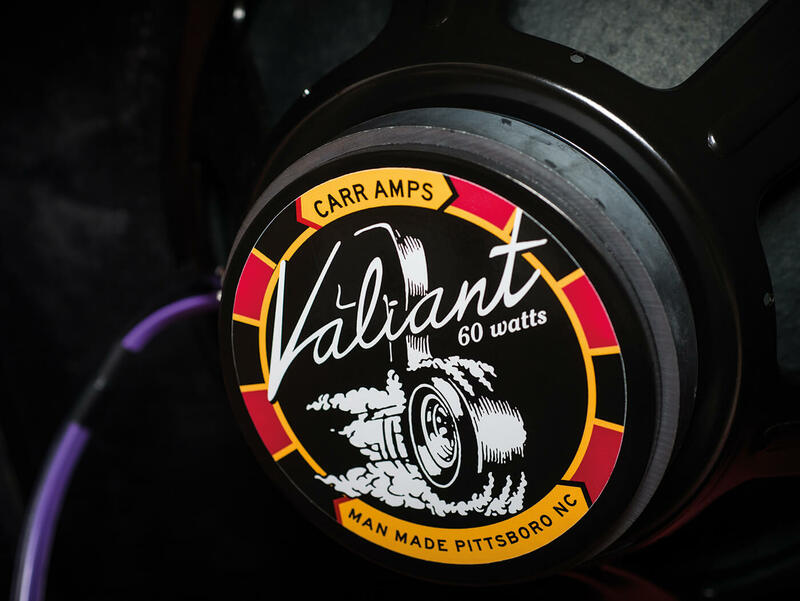 Onboard, there’s a custom Valiant 12-inch ceramic speaker and a bespoke saddle-leather handle. Given the unorthodox nature of the circuit, the Telstar’s tonal character defies easy categorisation. It’s certainly no tweed clone, although it does share some characteristics, and there’s nothing especially Blackface about it. So it must be more ‘British’ then? Well, the answer is yes and no. The Telstar provides an impressive range of clean and driven variations on a defining theme that is full, harmonically rich and sublimely touch sensitive. 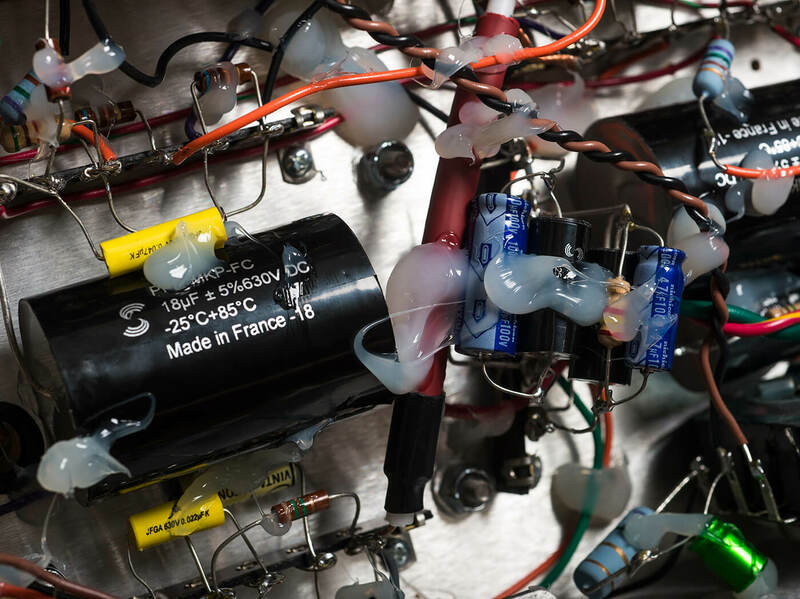 Carr’s smaller amps always have solid-state rectification, and yet the feel is always player friendly. The treble falls short of Blackface and Plexi glassiness and the overdriven tones are way too refined to venture into the fuzzy meltdown of late-50s tweeds, but there’s never any lack of clarity or excitement. The most impressive aspect – and one we have long associated with Carr amps – is the way everything gels together, with superb string-to-string balance across picked chords and super-smooth note sustain and decay. The exact function of the 53/58 switch is hard to define, because it varies depending on how the volume and tone controls are balanced. With the volume set about three-quarters of the way up and the tone at noon, switching from 53 to 58 gives the Telstar a noticeable lift in the upper-mid-cut frequencies. So, the tone goes from mellow and thick midrange warmth to something with more cut, snarl, grit and chime. In this instance, it’s very much what we associate with the sonic progression of various US amp manufacturers through the 1950s. If the volume and tone controls are both set at noon, the 53/58 switch clearly targets the same frequency range, but the outcome is quite different. Rather than adding aggression, 58 mode now provides a sweet treble sheen to the full and warm tone. too, you can even get a hint of mid scoop as the bass response is extended. Then if you max out the tone and back off the volume, 58 mode’s boost effect becomes more apparent as a thickening of the lower mids. 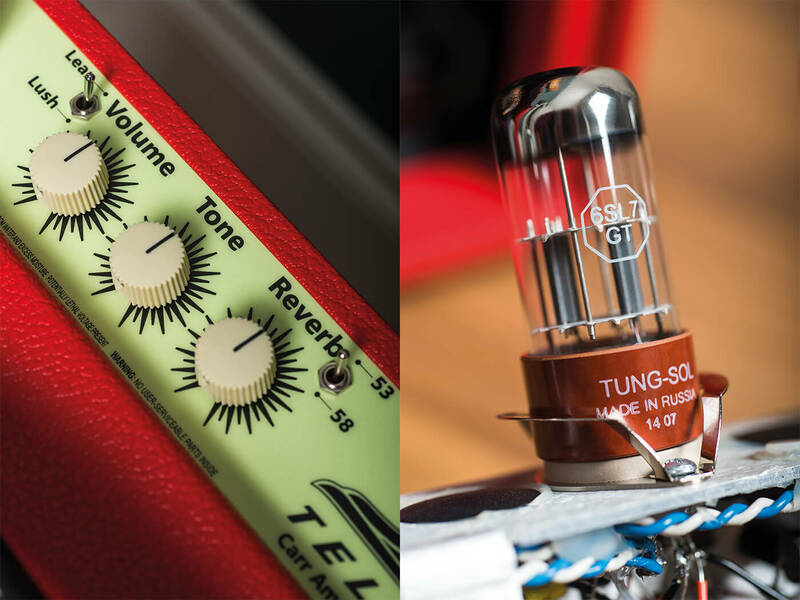 Whereas previously, the 58 setting enhanced clarity, now the 53 setting sounds more transparent without actually being as bright, and 58 gets grungier, dirtier and more garage-y. This is more apparent in Lush mode than Lean. If there’s one minor gripe, it’s that the Lush setting may be a tad overcooked. The Telstar is a naturally full-sounding amp and with lush mode engaged, even Strats can sound a little too bassy and loose. With a Les Paul, we don’t find it overly useful. It’s fine when you’re playing on your own, but may prove to be too much in a band context and we feel it could be more effective if there was some way to split the difference. Clearly, there’s no designated bass control, but since gain can be increased by turning up the volume and the tone controls, some slight degree of low-frequency shaping is possible if you boost the tone and roll back the volume. Equating power valves with specific amplifier tones is simplistic and potentially misleading. There’s no guarantee equipping an amp with EL34s will make it sound like a Marshall any more than pairs of 6V6s and EL84s guarantee tweed or Vox tones. Preamp valves, tonestack design, biasing and speaker selection are all equally important. Still, the Telstar allows valve swapping and with a Tung-Sol EL34, there’s less high treble and low bass. 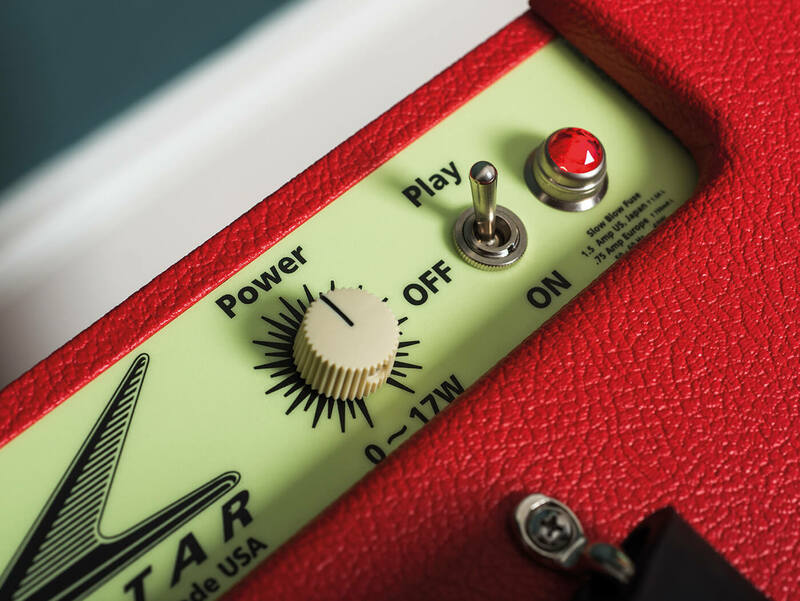 There’s extra midrange focus, tighter lows and a more defined quality, and the overdrive is less an assault of harmonics and more about low-mid growl. A Ruby 6V6 proves a great match for the EL84 – especially if you enjoy overdriven tones with midrange drenched in harmonics. The 6V6 gives a treble response somewhere between the EL34 and the airier 6L6, but for chewy midrange fullness and loose vintage lows, go for the 6V6. By combining two different power valves, has Steve Carr positioned the Telstar’s tone 1,500 miles west of Galway? Not as such, but it does have a sound that is very much its own. It’s designed to cover a specific power and tonal range, so metal enthusiasts and country pickers should look elsewhere, and it’s no pedal platform. Yet fans of old-school cleans with a hint of dynamically controlled drive, plug-in-and-play overdrive types and rootsy Americana players are bound to love it. Having such a clear onboard attenuator, along with Carr’s lush and non-intrusive reverb, will make this a one-stop solution for many players – albeit at a price. Even so, we’ve been looking forward to trying the Telstar for some time and it has been well worth the wait.